There are places that turn up in literature or in film—mystical and legendary places whose names may be familiar but about which we know little. We nod knowingly at the reference, but are often left wondering about places such as Atlantis, the lost land overwhelmed by the sea, or El Dorado, the fabulous city that vanished somewhere in the South American jungles. Other names are more evocative—Mount Olympus, the Garden of Eden, the mystic Isle of Avalon, and Davy Jones' Locker. But did such places actually exist and, if so, where were they, and what really happened? What are the traditions and legends associated with them? 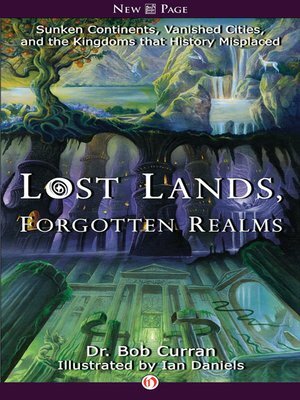 In the fascinating new book, Lost Lands, Forgotten Realms, historian Dr. Bob Curran sets out to find the answers by journeying to the far-flung corners of the world and to the outer reaches of human imagination.